Explore the 144 islands of the Bay and see dolphins and whales. Explore the birthplace of our nation with a Bay of Islands bus tour. 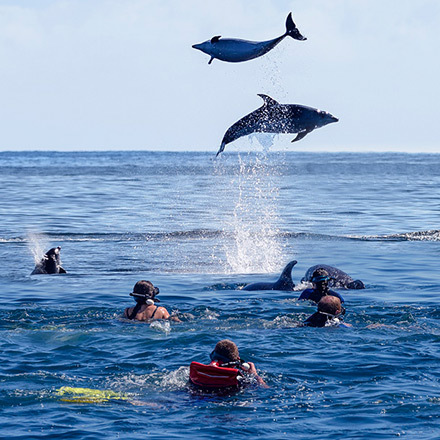 Enjoy the views from our catamaran Dolphin Seeker as we journey right to the end of the Cape Brett Peninsula, to the famous Hole in the Rock on Motukokako Island. Welcome to the Bay of Islands, the birthplace of our nation, Aotearoa, New Zealand. 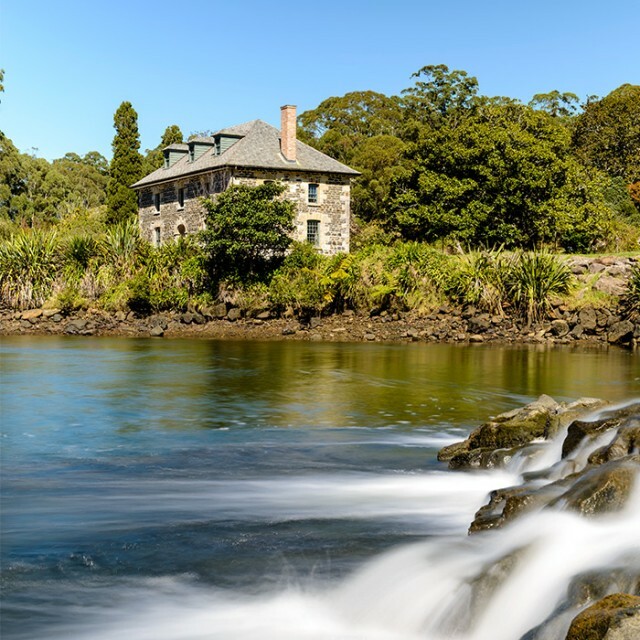 Explore this subtropical area, known for its stunning beauty and fascinating history, on the sheltered east coast of Northland. 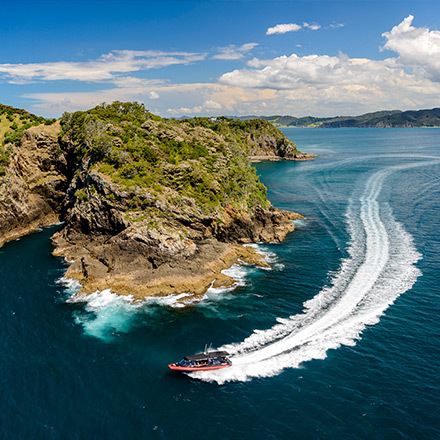 Discover the hidden secrets of the Bay of Islands, see marine wildlife at play and experience New Zealand's warmest waters. Explore the Bay’s hidden secrets on the cruise that started it all. Take a thrilling cruise around some of the Bay’s most untouched islands. Explore the scenic beauty of the Bay on a half-day cruise, including an island visit. 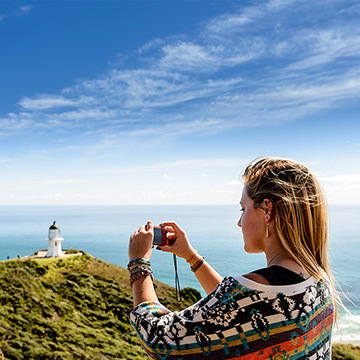 Journey to the top of New Zealand and uncover a region of stunning landscapes and a rich history. 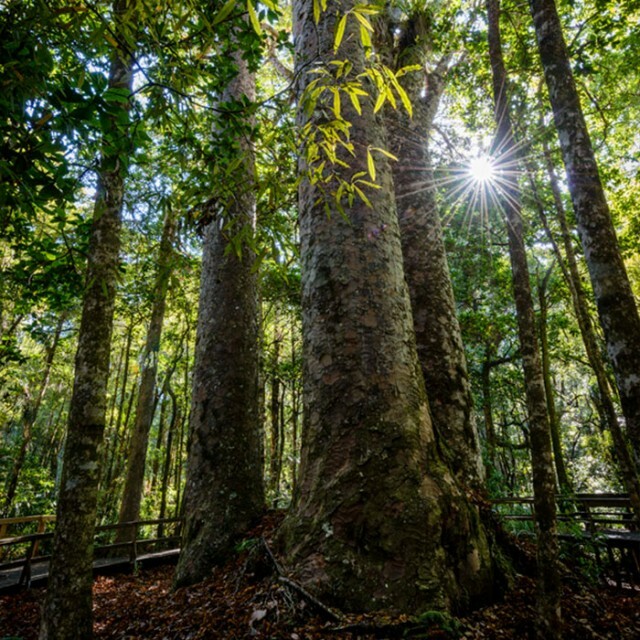 Discover the natural wonders and local legends of the Hokianga. Delve into early European history and sample locally made wine and chocolate. Bus and coach info, driving directions and more transport options. Our passenger and vehicle ferries connect Paihia and Russell.